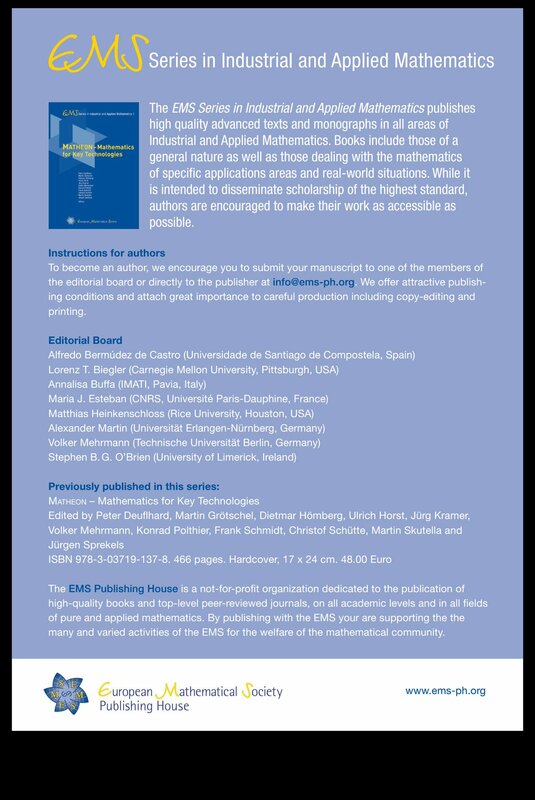 The EMS Series in Industrial and Applied Mathematics publishes high quality advanced texts and monographs in all areas of Industrial and Applied Mathematics. Books include those of a general nature as well as those dealing with the mathematics of specific applications areas and real-world situations. While it is intended to disseminate scholarship of the highest standard, authors are encouraged to make their work as accessible as possible. To become an author, we encourage you to submit your manuscript to one of the members of the editorial board or directly to the publisher at info@ems-ph.org. We offer attractive publishing conditions and attach great importance to careful production including copy-editing and printing. Authors are to submit their manuscripts to one of the members of the editorial board (please see attached) or directly to the publisher at info@ems-ph.org. The EMS Publishing House is a not-for-profit organization dedicated to the publication of high-quality books and top-level peer-reviewed journals, on all academic levels and in all fields of pure and applied mathematics. By publishing with the EMS you are supporting the many and varied activities of the EMS for the welfare of the mathematical community. http://www.ems-ph.org/ "